Grab the popcorn… It’s time for movie night! 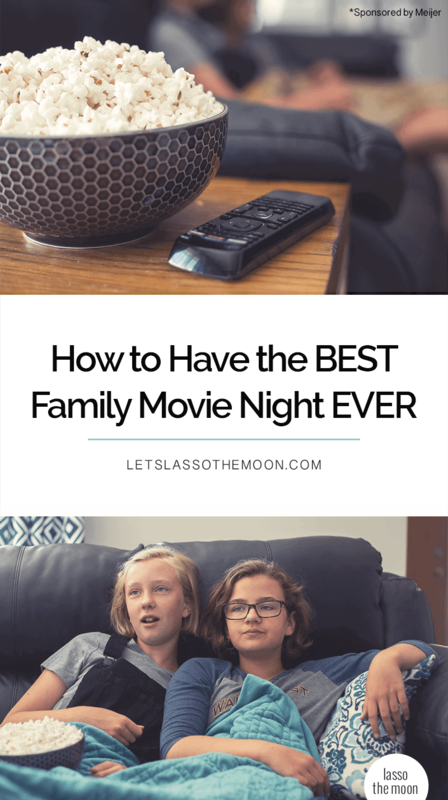 Below get three powerful tips on how to make TONIGHT the best Family Movie Night EVER. Plus, get five sweet popcorn recipes to munch on with your kiddos. She tilts her head to the side but doesn’t say anything. Her face perplexed, she grabs another handful of popcorn and eats it slowly, thoughtfully. I smile, openly inviting her to ask me anything, showing there’s no hurry to get back to the movie. Every time this happens, I get excited because THAT, my friend, is the small seemingly unimportant (but wonderfully bonding!) moment that makes Family Movie Night amazing. 1. Be ready to press the Pause button with a smile. Watch movies with your remote in hand. Family Movie Night is an opportunity to have BIG, important, life-changing conversations with your kids. It’s an opportunity to connect and say, “You’re more important than anything on the screen. I see you.” After all, that’s what children want most from parents — our FULL attention. So, be ready to press Pause — with a smile (not a sigh) — to take a little mid-movie detour and see what your kiddos are thinking. If you eagerly pause the movie and discuss their LITTLE questions now (when they’re younger), they’ll talk to you about their BIG questions when they’re older — because, to them, it will all have been big stuff. How could he maybe have avoided that? Why do you think their parents won’t let them do that / have that / go there? Kids are more apt to be willing to discuss uncomfortable topics when they revolve around a movie character vs. themselves. 2. Be a rule breaker. When my daughter was a toddler, she was a very picky eater. After many dinnertime battles, her pediatrician reassured me that it didn’t matter what she ate for dinner as long as her diet throughout the day was balanced. That logic still holds true now that my toddler has grown into a tween. So, on the nights we eat popcorn for dinner even now, we kick off Family Movie Night with a healthy buffet and fill the kids up with things like apple slices spread with peanut butter, carrots dipped in ranch dressing, cheese slices, high-protein nuts, and other fruits and veggies. By the time “dinner” rolls around, your kids are quite full on healthy snacks, yet you still get the title of “World’s Greatest Mom/Dad” because you’re having POPCORN for DINNER. Remember, it is about a balanced diet. 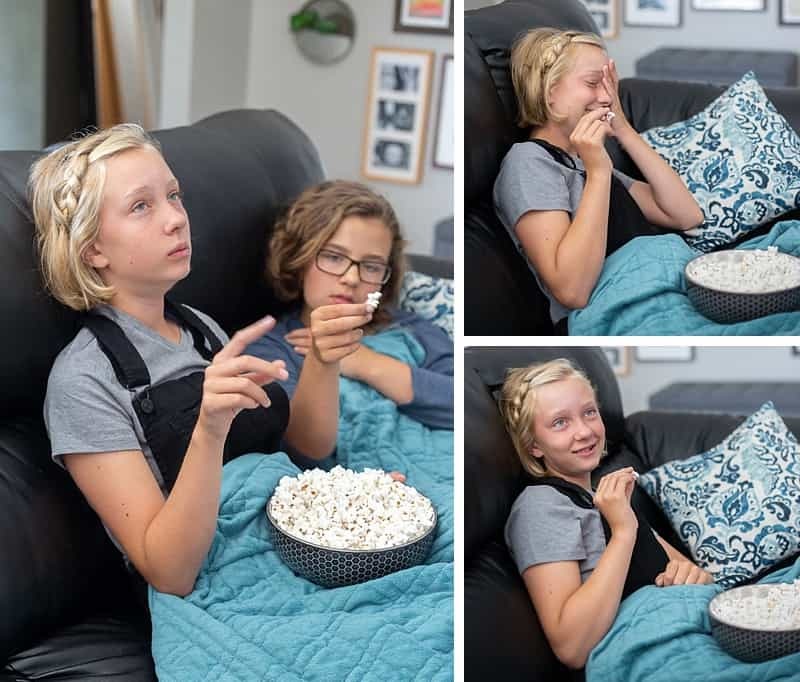 In the end, this is just a playful way to “hook your kiddos” and make your Family Movie Night together something extra-awesome for your kids to look forward to (and to one day look back on). We’ve been doing this for years, and we all love the tradition. Our favorite local popcorn can be found in the salty & sweet aisle at Meijer. Last year, when we moved into our new house, a friend gave us a bag of Valley Popcorn as part of a housewarming gift. When I saw the size of the bag, I laughed because it was so big. She reassured me that we’d finish it fast. We ate the bag in record time, and it’s been on our grocery list ever since. I’m a bit particular about additives, so I like that it’s made with the same three ingredients I use at home — popcorn, oil, and salt. That’s it. 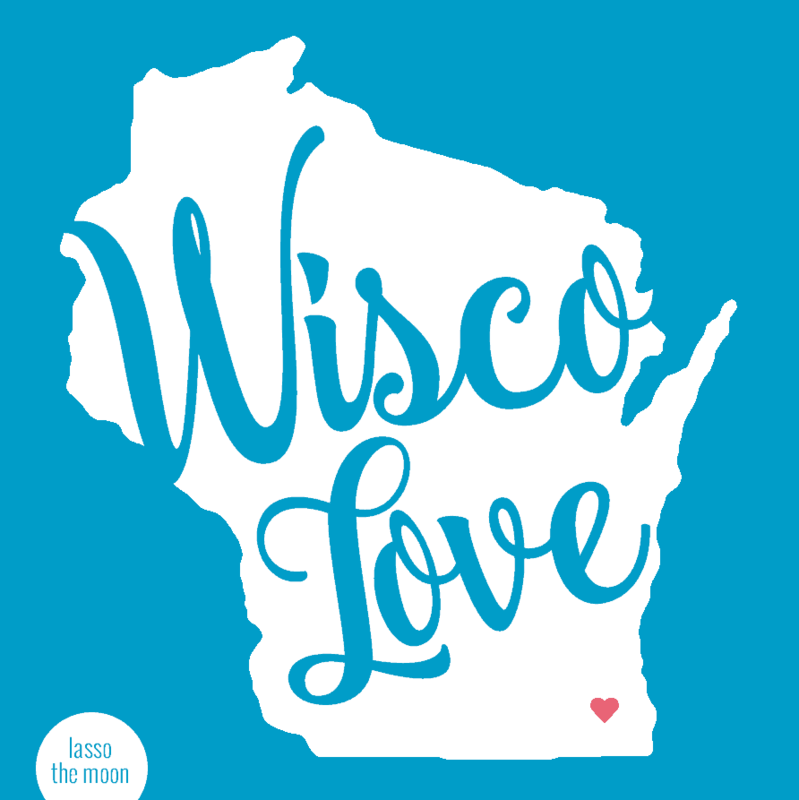 I also love that it happens to be popped right here in Wisconsin in Neenah. If we’re feeling adventurous, we also sometimes use pre-popped Valley Popcorn to make super-sweet popcorn recipes for our Family Movie Night. 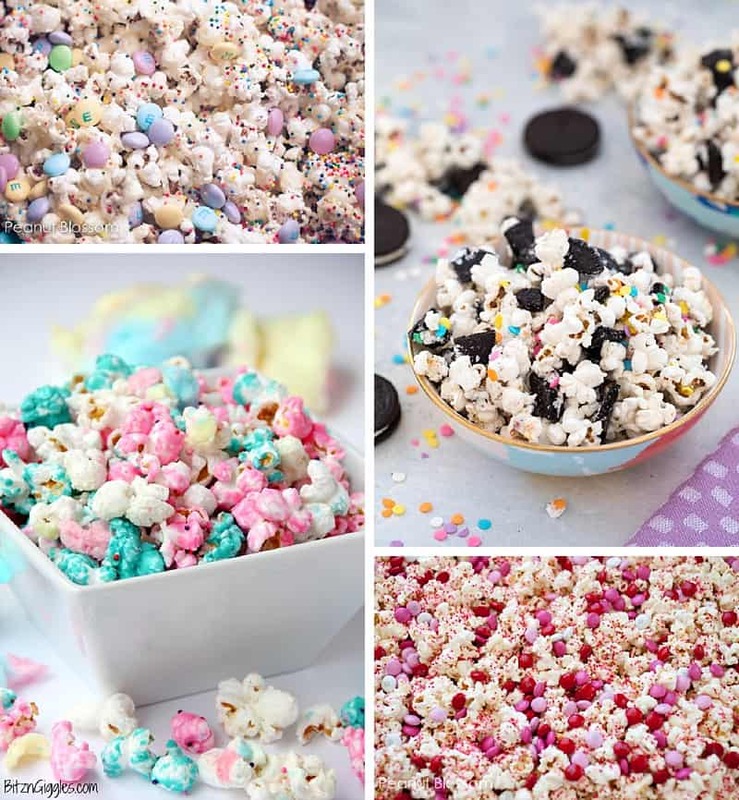 Here are five amazing sweet popcorn recipes to try! When we make these, my kids go crazy. They’re so delicious. Seriously. And my final Family Movie Night tip! No matter what your child’s age is, let him or her be involved in planning some portion of your Family Movie Night each week. Helping to plan the night encourages creativity, teaches turn taking, and creates a sense of community within your family, making the tradition all the more memorable. If you have older kids — Put them in charge of a popcorn recipe from start to finish. When we head to Meijer, I tag team our shopping list with our tween daughters. The two girls take-off together with their handwritten ingredient list while I shop for household items. They love the responsibility! Let your kids take the role of “head chef” and coordinate making the recipe, from the grocery list to in-kitchen production. 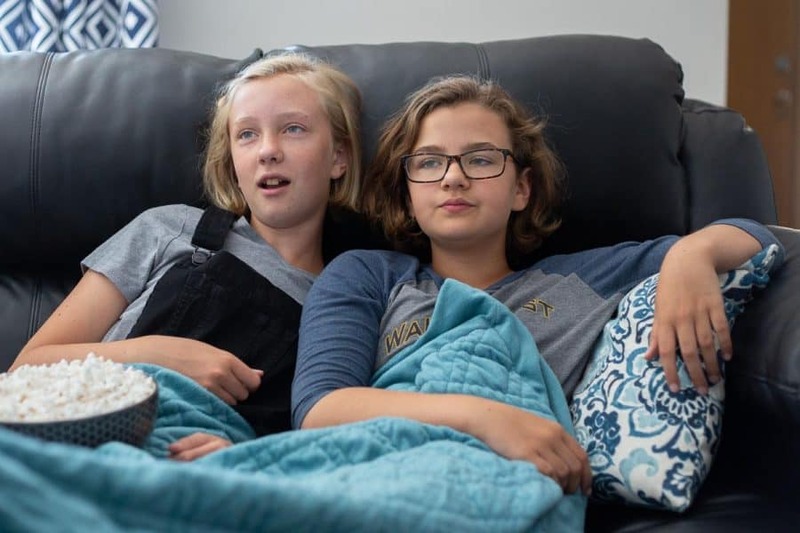 Another way to get tweens and teens involved is to have them narrow down the movie choices for Family Movie Night. At our house, each week a different member of our family picks the movie. We are constantly rotating, which keeps the selections fresh for us all! To ensure we don’t get stuck wasting two hours of our lives on a dud flick, we have a pre-set list of approved movies for the kids to choose from. Family members are allowed to choose something off of the list, but our rule is that the suggested movie has to have a 65% or higher rating online. This goes for adults, too! One final tip — Pick your designated Family Movie Night, and guard that day of the week (or month) on your calendar to ensure nothing else gets scheduled. Show your kids that family time matters by making it a priority, even as they grow older. Don’t overlook the opportunity to sprinkle in some SMALL conversational moments, which we know turn out to be HUGE. 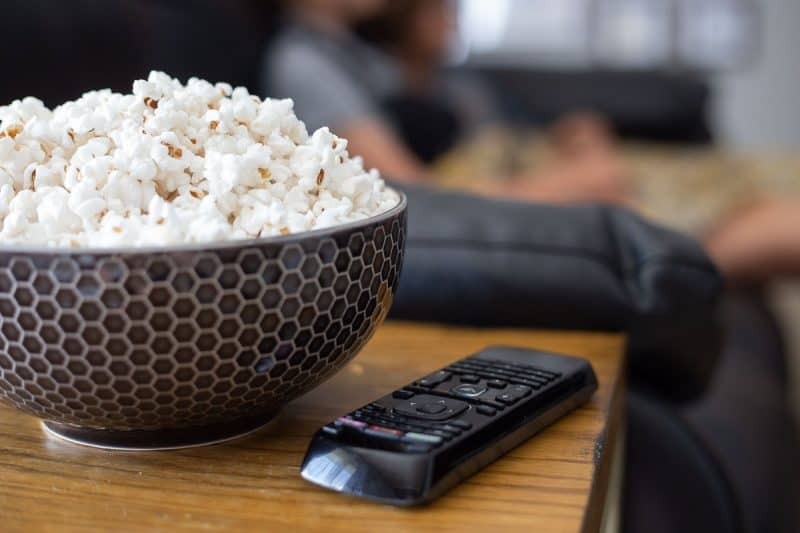 If you involve your kids in the planning and to give them your full attention when you smile and hit the pause button, and you’ll create a Family Movie Night tradition they’re sure to remember.